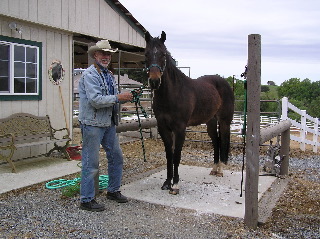 Brownie is a Thoroughbred Quarter cart horse owned by Jim and Judy Lougheed of Placerville California. 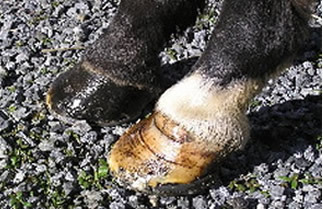 Brownie was considered unusable in the early nineties. 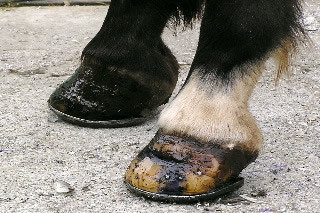 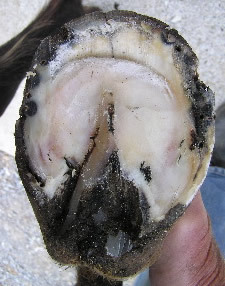 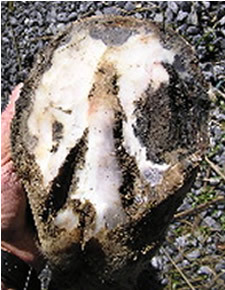 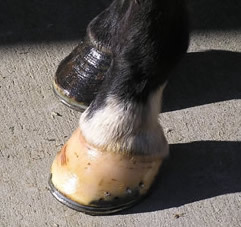 Many veterinarians and farriers had given up on him due to a low heel/long toe syndrome, complicated by extreme chronic abscesses. 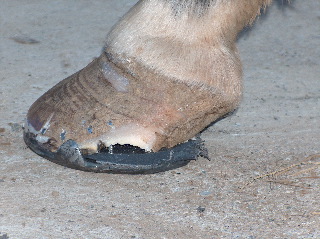 As Brownie’s condition grew worse, the Lougheed’s decided to give The Perfect Horse® a try. 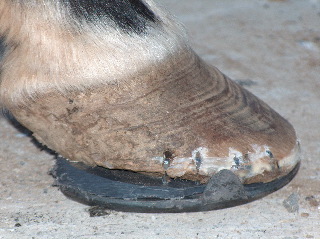 Brownie was started on The Perfect Horse® in September of 2003, and as the pictures tell the story, significant progress was made. 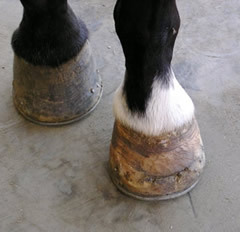 The overall success achieved in this case and others, is not only the result of powerful nutrition of The Perfect Horse® but requires the skill and attention of an experienced Farrier as well.